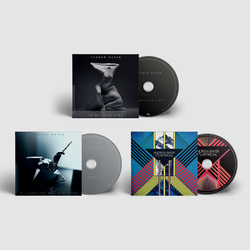 Andrew Bayer - Andrew Bayer Vinyl + CD Bundles. Anjuna Music Store. Fans who pre-order either of these bundles before August 7 will receive an email with instructions on how to claim tickets to one of three exclusive album premieres in London, LA or NYC on August 14. Tickets for these events are free but will be limited to two per customer. Seats will be allocated on a first-in, first-served basis. There will be no public release of tickets; access codes and instructions will be emailed on August 7. Please note: travel to/from the venue is the responsibility of the lucky recipients.